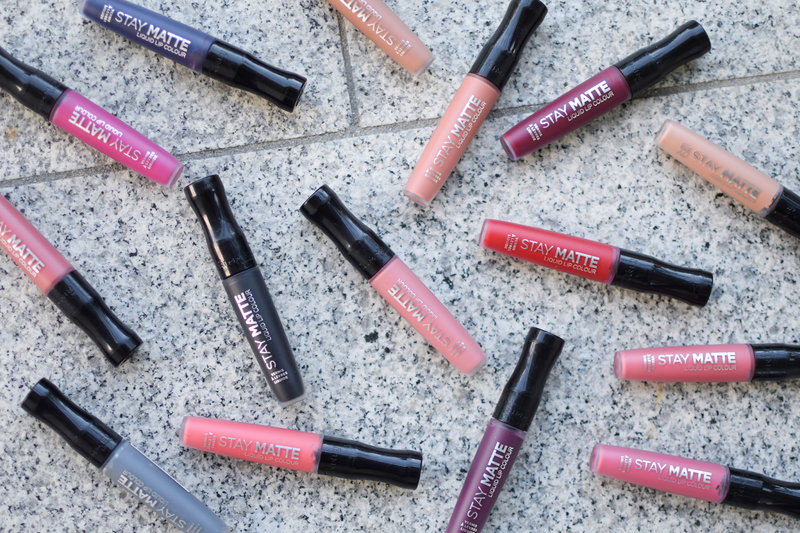 I have to admit I’ve been a bit out of the loop when it comes to new beauty releases in the past few years, but the last time I walked down the makeup aisle, there weren’t many affordable liquid lipstick options out there apart from these beauties. 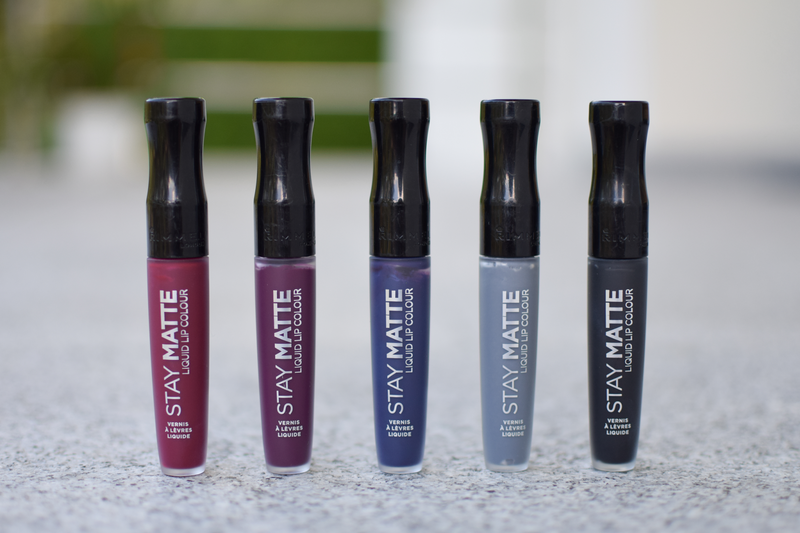 And now here comes Rimmel with their Stay Matte Liquid Lip Colours that caught my attention with the wide range of shades and the slighty unusual colours in the collection – the blue, the grey and the black, which I’ve been searching for right, left and centre since forever. 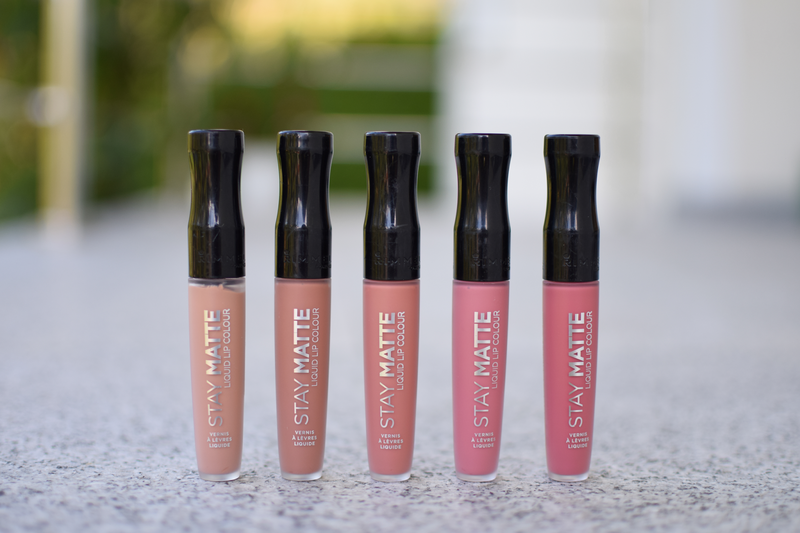 They come with a flattened, sharp-edged doe-foot applicator, which does an amazing job at applying the product quickly but precisely, and the formula is not bad for a drugstore product either. 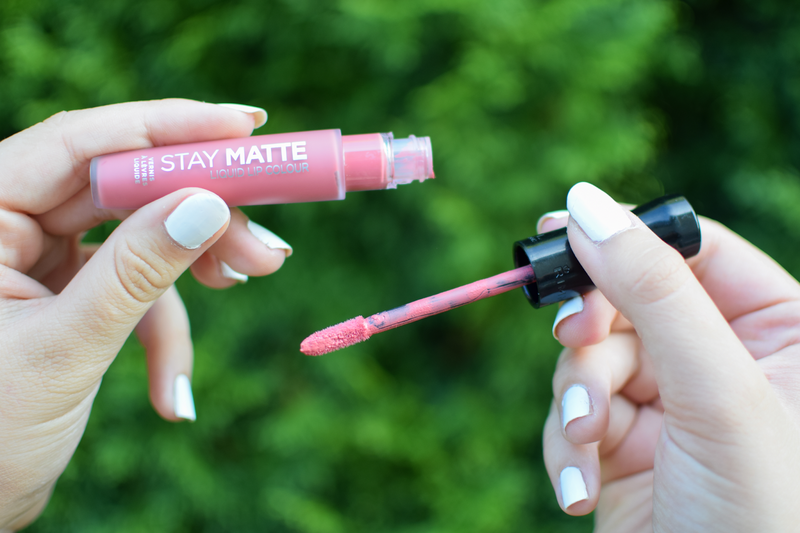 It’s mousse-like, but sets very fast into a non-sticky velvety matte finish, and the pigmentation is very good as well, although I do like to apply two coats. 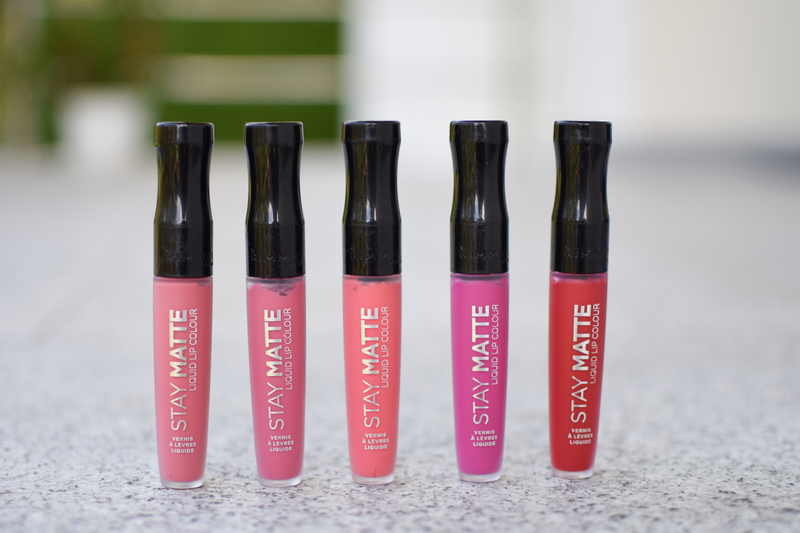 What impressed me the most, though, is how long long lasting they are – they don’t transfer, they survive meals and are hard to get off without a waterproof makeup remover. 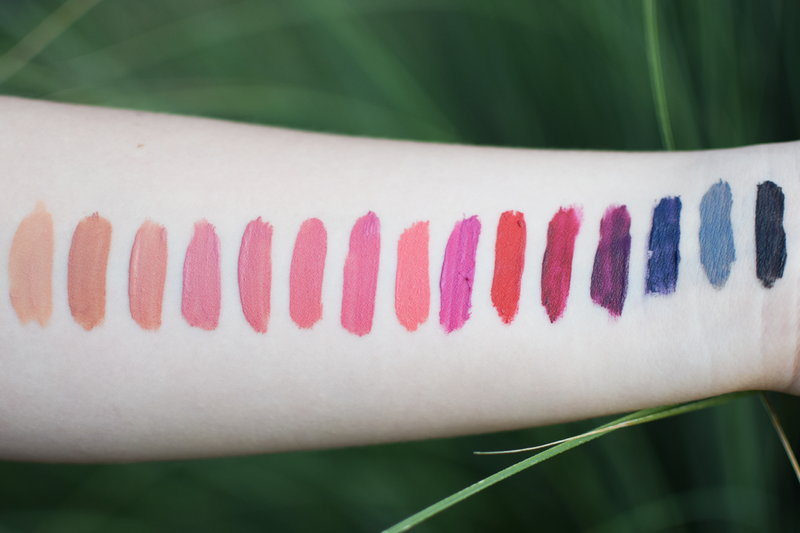 The only thing that bugs me is the fact they’re slightly drying and therefore not the most comfortable to wear all day long, and the five darker shades I was excited for the most are unfortunately mega streaky, so avoid, avoid, avoid. If I were you, I would stick to the lighter from the range. My favourite is ‘Be My Baby‘.